1. Be willing to think for yourself. 2. Don't live your life based on the uninformed or negative opinions of others. The bible is full of wonderful promises. 3. Be open to new ideas. Don't let fear of failure stop you. 4. Associate with other people who think for themselves, are focused and have direction and are successful in life. Success is not equated by monetary value but by tenacity. Successful people also make mistakes but never quit. 5. If you find yourself "going along with the crowd", always ask yourself where the crowd is going? 6. Make the decision to love and believe in yourself no matter what. God does. 7. 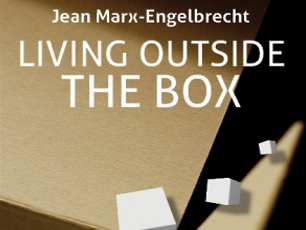 Frequently ask yourself the question: "Am I thinking inside or outside the box?" If you think outside the box you are living outside the box. 8. Be willing to take responsibility for your own choices and your own actions. Don't play the blame game. 9. Set goals and stick to them. Don't let other people deter you or hold you back. Live your dream. 10. Don't be afraid to be different. Most of life's greatest accomplishments are achieved by people who break the mold. 11. Never be negative about yourself. Doubt your doubts. Practice seeing good, rainbows are beautiful even after a storm. 12. If you know your direction then enjoy what you do. Remember the proverbial saying: "When life gives you lemons, make lemonade".Be focused that your life has a purpose and a plan for being here on planet earth. Be thankful for that fact.